Do you have any students that struggle to manage and/or identify their emotions? Are you the parent of a child that has difficulty handling feelings? 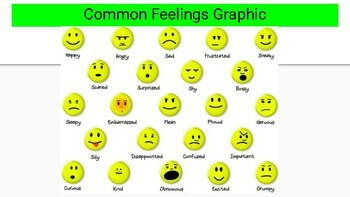 Learning to identify and process emotion is a critical part of an individual's overall social/emotional health. 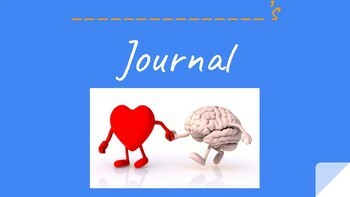 Journaling can be a great strategy to help children process feelings. 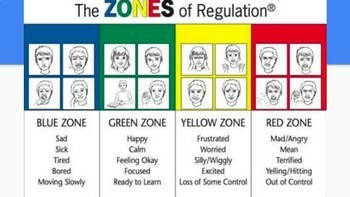 This resource also uses the zones of regulation visuals to help encourage their self-regulation skills. This product could be used whole group or for individual intervention. It helps students process their emotions and also helps to gather data and information regarding their social emotional health. There are four questions for each journal entry that expect students to identify their "zone of regulation", name something positive, something negative, and their overall feelings that day. 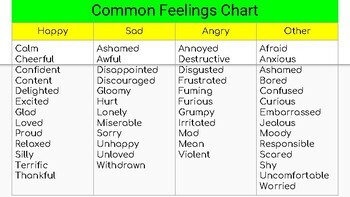 There is a visual graphic of common feelings, as well as a list of specific emotions we can use other than happy, sad, and mad. These can also be printed for individual students or enlarged to display in the classroom. Attached is a powerpoint version of the journal. The last slide has a link to the google slides version of the journal. I prefer this, because I'm able to post it to Google Classroom and have the child complete it on there.